This is our new webpage. It’s not perfect but it’ll do just fine. We had a great meetup yesterday with two awesome talks: Jan Brdo (@mrbrdo) talked about Design Patterns in Ruby and Damjan Rems explained why MongoDB & Ruby are a match made in heaven. To wrap up I introduced donations in the form of awesome stickers. A lot of you responded and I thank you all! After that we continued our debates at the nearest bar where D·Labs bought us all a drink. Our next monthly meetup is still a long time away, so this month we’re doing something special. We’ve teamed up with the legendary Rubyburgers and we’re bringing them to Ljubljana! So on 8th of May we’ll have a casual meetup over some great food. 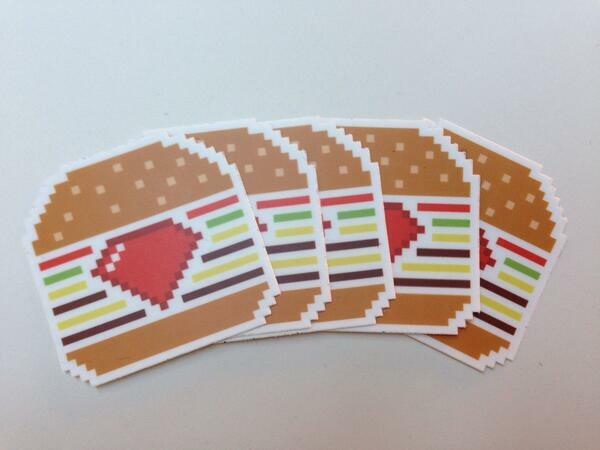 There will be stickers, and there will be burgers. Hood burgers!